Get your customers in, out, and on their way. Customers love the flexibility and convenience of mobile payments at retailers worldwide. 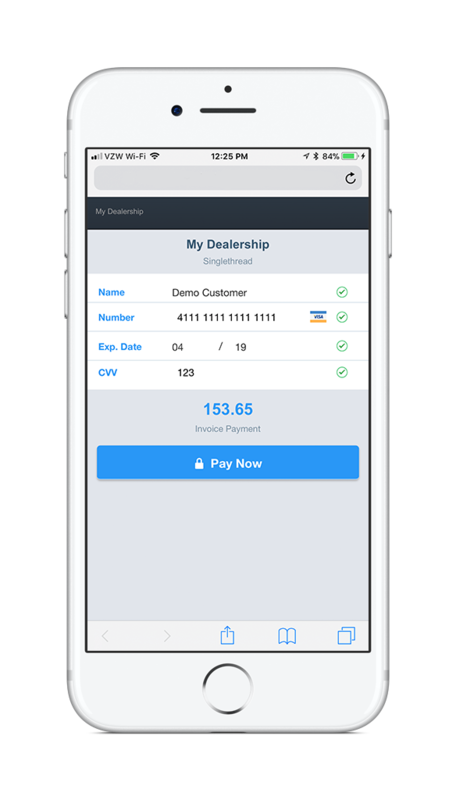 Singlethread brings that same great experience to your service department. Eliminate the frustrating line-up at the cashier and help advisors self-cashier with ease. Changes in the office are difficult. That's why with Singlethread, we don't force you to change merchants. You keep your existing merchant account and we'll securely integrate to them. Singlethread uses highly secure partners and encryption to securely process payments for you and your customers. Prefer a paper trail rather than electronic? Singlethread generates receipts and payment confirmations to create a paper audit trail, should you want it. Text, Inspections, Mobile Pay, Chat, Customer Feedback - all within a click. See how with a Live Demo. 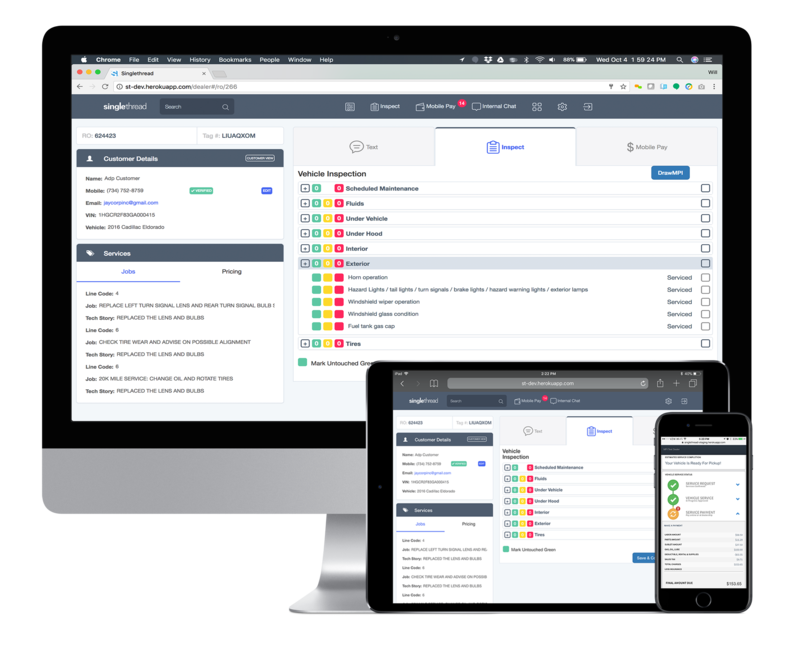 See how you can gain control of your service department with Singlethread.